Imagine hopping on a bus filled with free beer and being driven around town to a bunch of awesome local micro-breweries. Sounds like heaven, right? That’s what the guys behind Brew Bus USA set out to accomplish. Those guys are President and Founder Anthony Derby, Events Coordinator Aaron Caplan and Marketing Coordinator Mike Pasley. Anthony came up with the idea for the Brew Bus while he attended the University of Colorado. He was a fan of the microbreweries in the area and tried to hit three in one day—and realized this kind of trip called for a transportation service. Natives to Tampa might recognize Anthony’s mother, Toni Derby; she’s the president of the wildly popular Cigar City Brewing Company. When Anthony told his mother about the idea, she agreed that Tampa’s thriving microbrewing community would be the perfect place to start a beer transportation service. The company began in 2011, before Anthony had even graduated school. They rented a bus that first year, and purchased one in 2012. Anthony moved back to Tampa and took over, and the rest, as they say, is history. 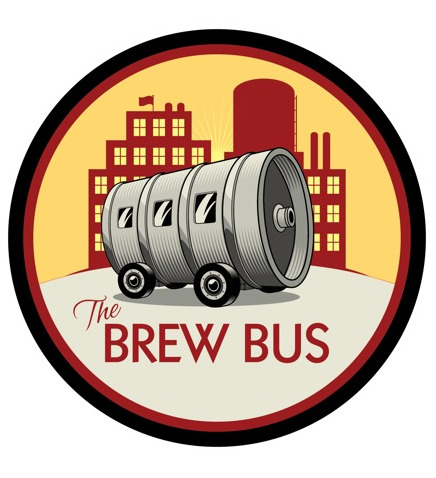 The Brew Bus now owns five buses and has locations in Tampa and South Florida, along with a location in Jacksonville on the way. Last year they gave rides to over 5,000 people, and they contributed roughly $80-90,000 to tastings rooms inside of local breweries. The Brew Bus is a great example of going where your market is, and establishing something a little different than what the competitors are offering once you get there. Their differentiating factor? The Brew Bus also brews its own beer. Anyone who rents out the bus gets free Brew Bus Brewery beer, which includes a variety of different types, from red ale to IPA. So it’s really like another brewery stop built into the transportation. Other buses usually require guests to bring their own beer if they want to drink in between breweries, so it sets them apart, Anthony said. The Brew Bus also buys their guests a round at each stop. The bus usually visits two or three breweries, depending on the passengers’ preferences. Their ideal goal? They want to turn domestic beer drinkers into craft beer drinkers. Their hope is that people on the bus will fall in love with at least one brewery on the tour, if not all of them. “We want to bring you to these breweries that people haven’t really been to before,” Anthony said. As for their concrete business goal, they’d like to have a Brew Bus in every city—after they perfect their business model in Florida. They want to grow their beer band, as well, and become a recognized name in microbrewing. “The perfect situation is to have our beer where we have our buses and have our buses where we have our beer,” Mike said. The buses can be rented out by the hour for private functions as well, and work just like a limousine service. And even private events receive complimentary Brew Bus Brewery beer. The buses start at $135 an hour and go up to $185, depending on the size of the bus. As for what made Anthony excited to start this business in the first place? And the industry doesn’t show any signs of slowing down, which is why the Brew Bus’s plan—to differentiate themselves and make a strong showing in several major microbrewery cities—is a solid one. The Fred Group approves! You can find the Brew Bus at their website, on Facebook and on Twitter.